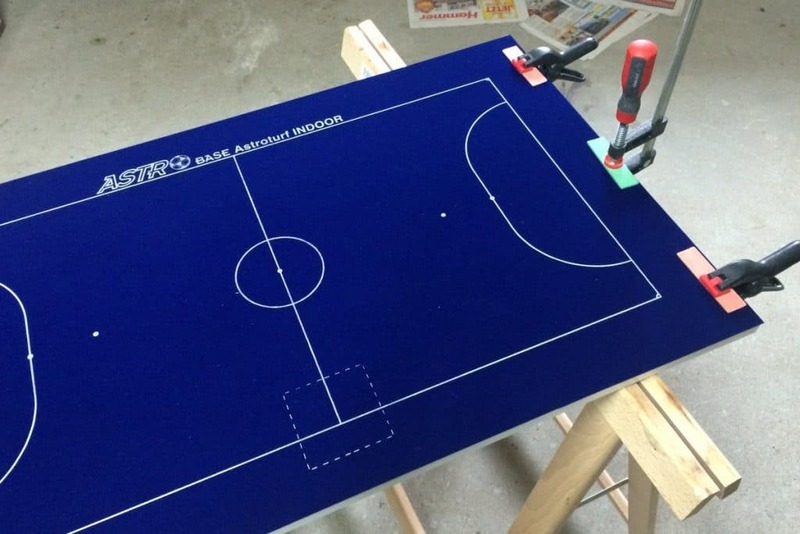 A foldable Subbuteo table: Here’s my tutorial with 25+ photos how to make one. 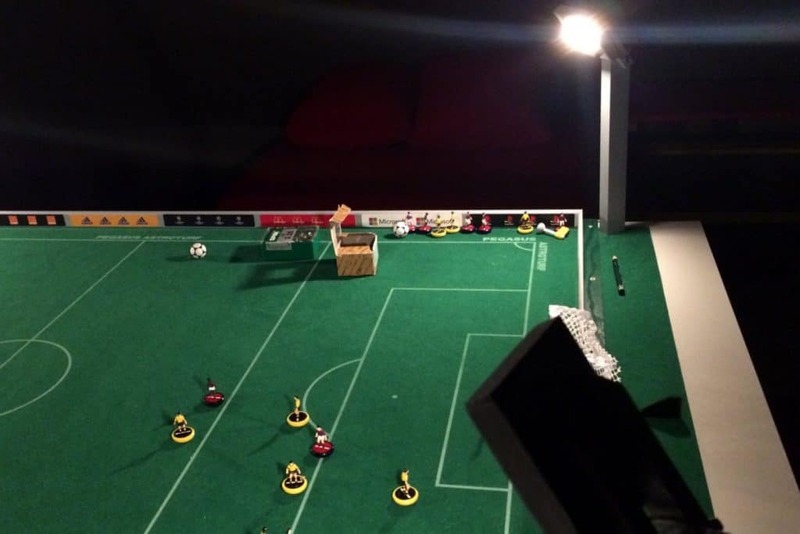 DIY Subbuteo floodlights: How to create a set of LED floodlight poles, step by step. 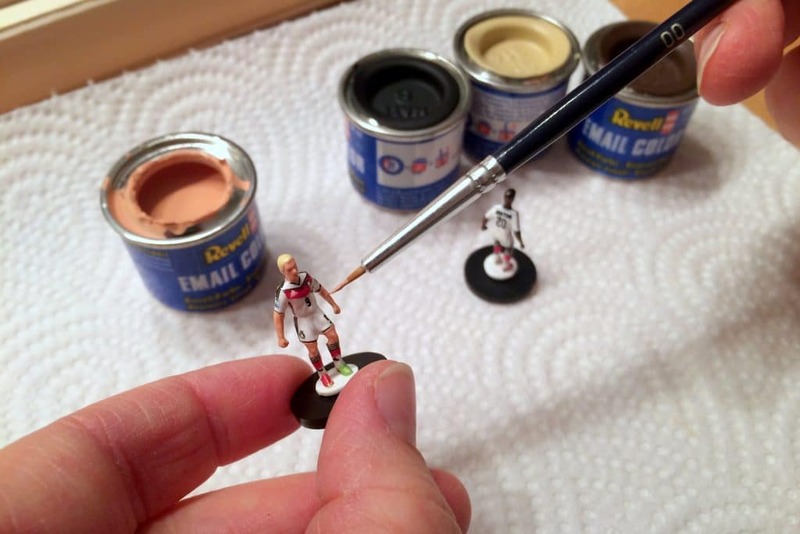 Decals and hand painting: Workshop insights – check out how I finished my teams and useful carrying cases. 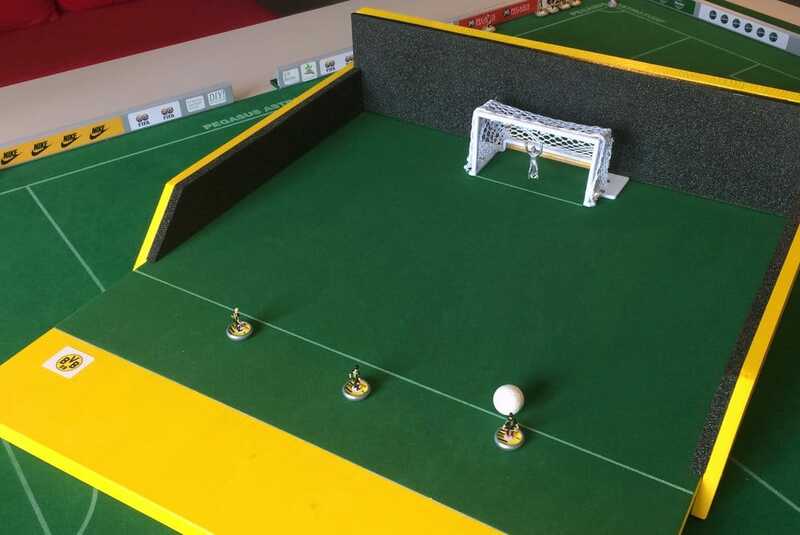 5-a-side pitch for my kids: A smaller astroturf field with metal goals and a magnetic scoreboard. 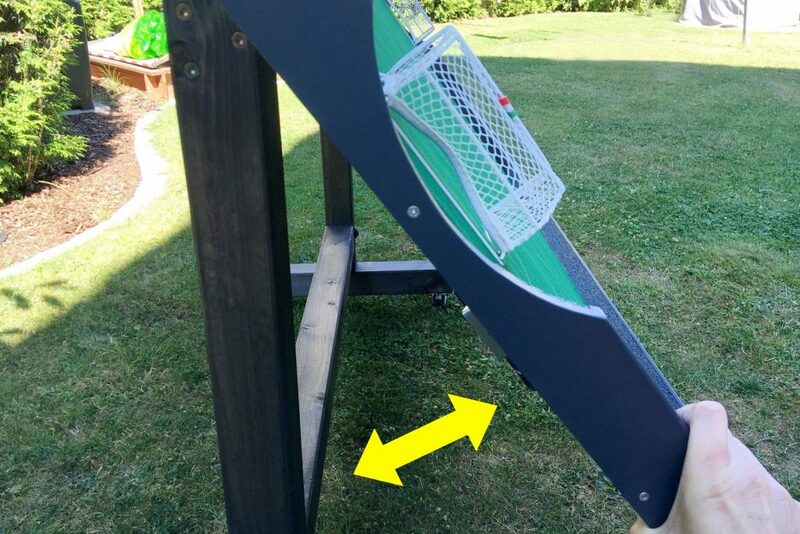 DIY shooting arena: DIY Mini board for one or two players. Learn to shoot and save the ball!